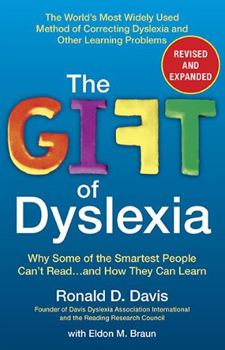 The Gift of Dyslexia, by Ron Davis, with Eldon Braun. The Gift of Dyslexia explains the theories behind Davis® Dyslexia Correction methods, and details basic procedures. Large typeface, illustrations & photographs make this book dyslexic-friendly. 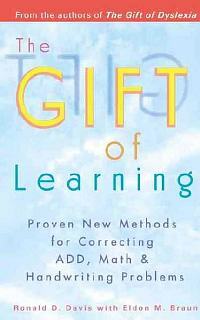 The Gift of Learning, by Ron Davis, with Eldon Braun. The Gift of Learning explains the theories behind the Davis way of understanding ADD, dyscalculia and dysgraphia and provides tools for improving attention focus, building math understanding, and improving handwriting. The Davis Autism Approach is a non-invasive, gentle approach designed to allow people on the autistic spectrum to participate more fully in life. This one-on-one program can be conducted by a Davis Autism Approach Facilitator or by a parent or loved one who can be trained and mentored by a Davis Autism Facilitator-Coach. The program consists of three parts: individuation, identity development, and social integration. 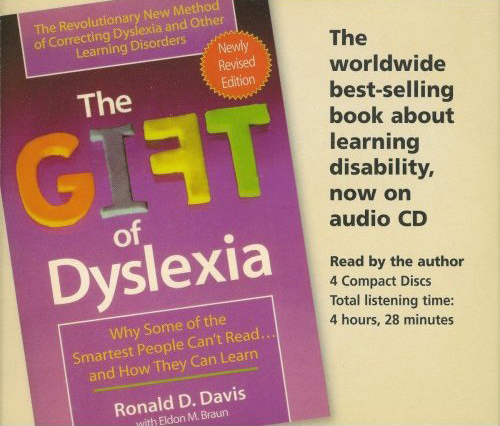 This set of 4 audio CD's contains full narration of The Gift of Dyslexia, read by author Ron Davis. A great alternative for students who would rather listen than read. 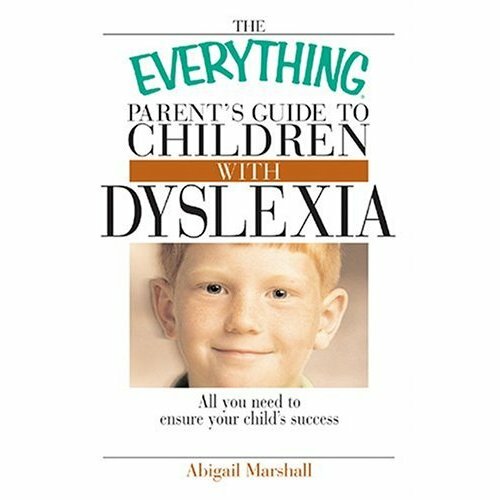 The Everything Parent's Guide to Children with Dyslexia helps you understand what dyslexia is, how to identify the signs, and what you can do to help your child. This book seeks to alert parents to the special needs associated with dyslexia and offers practical suggestions for getting involved in the classroom. This website has a large amount of information about dyslexia and the Davis® methods. It has links to many books, videos and other materials. You can read about people's experiences with the Davis program, chat with other parents, etc. Linda Silverman’s site explores visual-spatial learning. 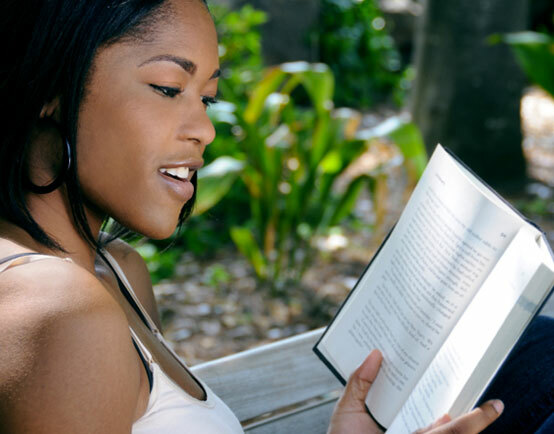 On this chat site clients and family members of corrected dyslexics share their experiences. You can ask questions about the Davis program on this site. This is a link to software that is a wonderful tool to help visual thinkers write. This interactive math site has all sorts of visual aids and puzzles.